Babies are hungry little critters, and in the early days you’re going to be spending a lot of time trapped under a cosy sleeping form, wishing you’d thought to grab a chocolate bar from the kitchen before you sat down. A big, squashy chair to sit in is absolutely essential to surviving those early days and nights of feeding. That’s why we love the Bellamy (US$749) and Kinney (US$799) gliders from Dwell Studio. 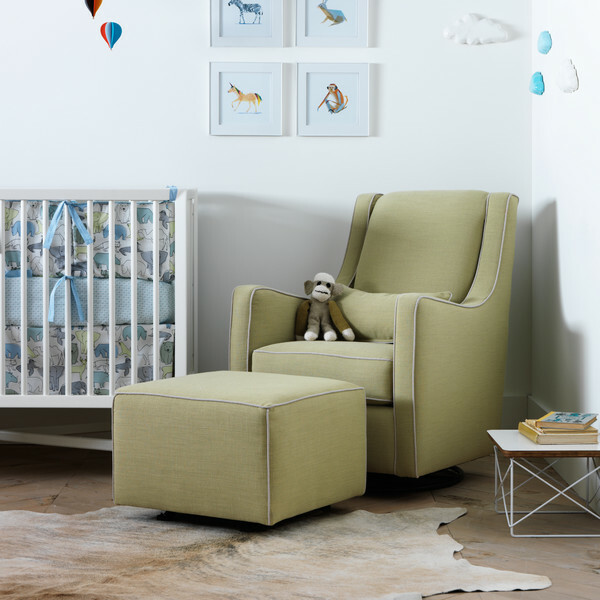 Ideal for feeding, story-time and midnight lullabies, the gliders are a lovely spot for you to bond with your little one, from babyhood to beyond. The classic silhouettes and gorgeous upholstery options guarantee that when nursery floor space is needed for a new Thomas train table, the glider will look right at home in the lounge room. 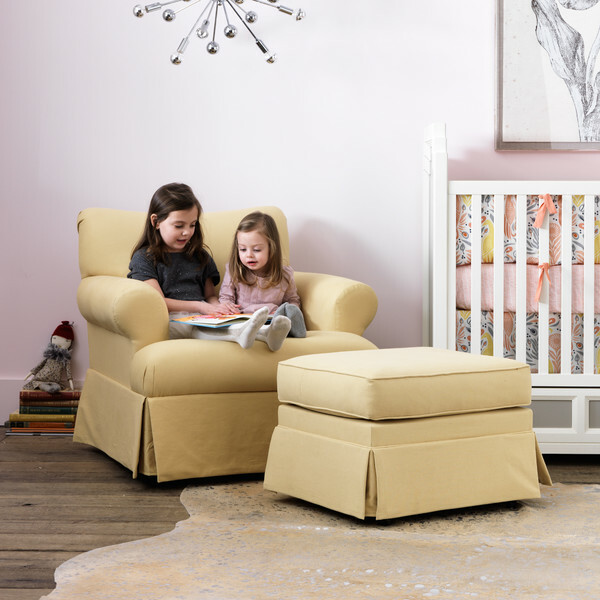 The Bellamy, with its plushy rolled arms and wide, deep seat is wonderful to curl up in, and comes with a matching ottoman to kick up your tired feet. For something a little less traditional, and a little more Mad Men, the Kinney has a slim, mod profile, swooped arms, and slick piped upholstery. Call us colour-crazy, but our favourite is Bayou Sunshine, as much for the name as for the bright sunny colour. Pick out a dreamy little mobile to hang from the ceiling, choose your favourite glider and matching bedding for the cot, and you’ll have the perfect nursery for your perfect little bundle.